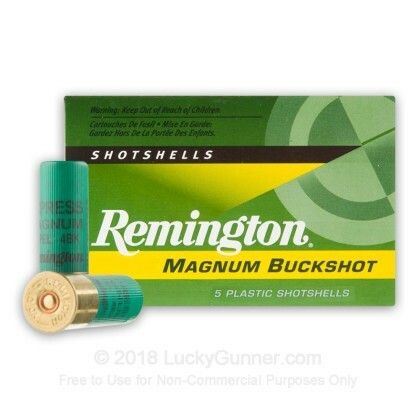 Remington's Express Magnum 3 inch #4 Buckshot load puts out an impressive 41 pellets down range in a tight pattern producing devastating results on game. 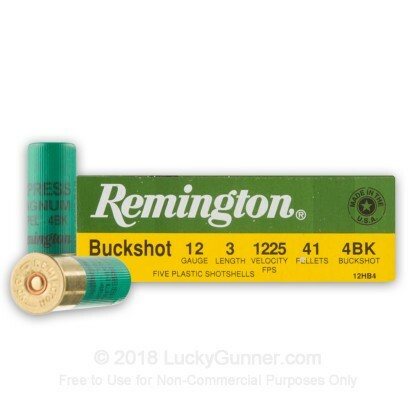 This buckshot load delivers a consistent shot pattern time after time so that you can go to the field with the confidence you deserve. 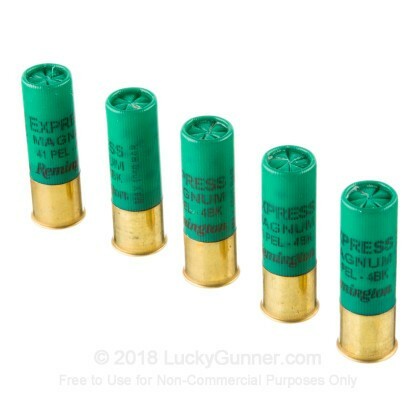 This ammunition is proudly made right here in the U.S.A. Thanks for the prompt professional service. It was a pleasure doing business. 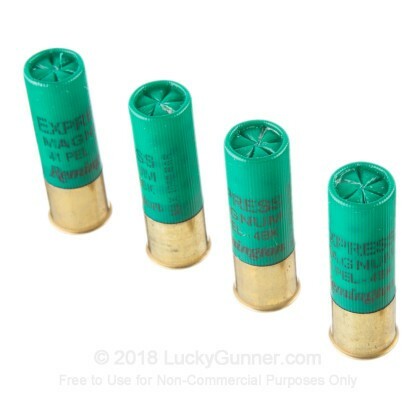 I just got my new shotgun a few weeks ago (a Benelli M4) and had a 25ct box of Federal #4 buckshot 2 3/4" and 5 boxes of this 3" 41pellet shells from LuckyGunner. Just went out my first time ever shooting a shotgun. I do have a Mesa Tactical stock that gives me a 12.5" LOP or so and a limbsaver rubber pad at the rear. 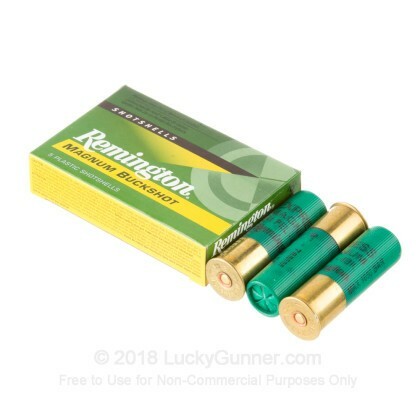 I started out with the regular 2 3/4" buckshot #4 and that was fun but then I opened up these boxes and man they were REALLY fun. I, even after the 2nd box of 5, got brave enough to rapid fire them decently on a drink cooler target. 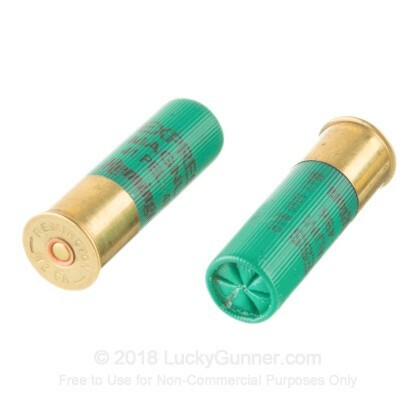 I plan on moving up to 00 buck now but would buy more of these though they are out of stock on lucky gunner at least though they are available through other sites.